The first woman to lead the Mille Lacs Band of Ojibwe has died. Marjorie Anderson died Saturday of natural causes, the band said. She was 81. Anderson served the tribe in east central Minnesota from 1991 to 2000. She was elected to another four-year term as chief executive in 2008. Anderson was head of the band when it successfully sued to retain hunting and fishing rights that were promised in 19th century treaties. Anderson was secretary-treasurer of the band before becoming chief executive. Tadd Johnson, who served as legal counsel for the band under Anderson, said the band adopted executive, legislative and judicial branches and separated business decisions from political ones. "A lot of those ideas were new to Indian Country in the 1980s when the band came up with them, and then Marge followed through. She was a great stickler for details and parliamentary procedure and following the rules," Johnson, who heads the American Indian Studies Department at the University of Minnesota-Duluth, told MPR's Morning Edition. 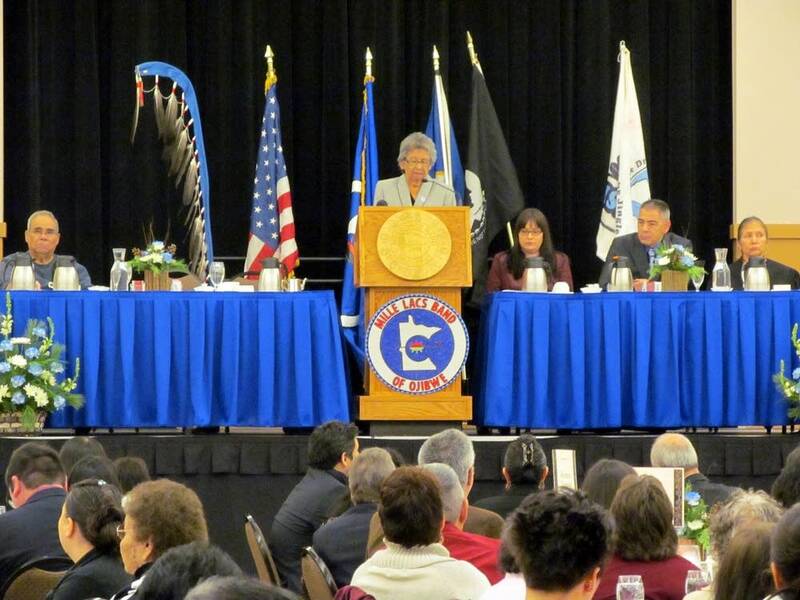 Anderson received awards for her leadership in Indian gambling, tribal self-governance and tribal treaty rights. In the early 1990s she was a leader in the fight to gain tribal control of federal funds allocated for American Indians. She helped the Mille Lacs Band become the first tribe in the country to qualify as an individual sovereign state in the eyes of the Environmental Protection Agency. Anderson also led a drive to open two casinos and use the revenue as backing for the first community improvement bonds issued by a tribe in the United States. The bonds funded schools, housing, roads and a water treatment plant. During Anderson's administration, the band created a political fund and diversified the reservation economy. Anderson also founded a group of Midwestern tribes that lobbies Congress on various issues. "She led in kind of the old way of quietly developing a consensus, and then once the band would take a position she would stand firm and she would fight it, whether it was a U.S. Supreme Court case or a bill in Congress," Johnson said. "Whatever the fight was she was willing to take the stand that the band wanted to take." Anderson is survived by two children, six grandchildren and four great-grandchildren. Services are scheduled for Wednesday.